People over the age of 60 live active and healthy lives. However, as individuals age, the body and mind change. Do you question if you're doing enough to stay young in mind and body? It takes effort and consistency. Regular exercise and physical activity offer the strongest proof to reduce mortality and health benefits. If you stick to being active, you'll gain advantages like fewer heart threats, better-quality sleep, enhanced memory, fewer depression episodes and pain, improved bone strength, and less falls. Being active may not appeal to you, so the secret is to do the things that are fun and enjoyable. For some, it might be taking brisk walks, riding a bike, dancing, or yoga. Even better, substitute activities. Instead of walking one day, take a strength training class. You'll gain more from a well-rounded program. Try to view fitness beyond physical activity and be more social and learn new things as well. Betsie Sassen - One approach is to shift the language about aging, then your actions and attitudes will follow. Remember that old age is always 15 years older than you are today. Words are powerful so choose ones that promote the idea of growth and new possibilities! Gail Steinberg - Learn from the elders and spend time with them. Value them so they may value themselves. Celebrate each unique difference, and take chances to play, laugh, and connect at a deeper level. It's time to be happy. Kathy Birkett - Support you current abilities by focusing efforts on what you can do and not on what you cannot do. Functional decline can lead to depression and fear of falling causing some seniors to withdraw from life. It will benefit you (and the caregivers) if you learn new abilities through using devices and technology. Then you can do what you want but in a different way. Scot Cheban - I encourage my clients to stay active. If you enjoy tennis but no longer play, get out and watch a match. Socialize. Go to lunch with friends/family. Staying active can help maintain both the mind and body. At the end of each day, you should feel a little tired. A good night's rest will give more energy for tomorrow's activity. Ben Mandelbaum - Take advantage of free time and do the things that are important to you - hobbies, passions, volunteering, family, and friends. Create opportunities and outlets that utilize your knowledge, time and energy. Maintain activities that challenge your mind. Connie Chow - Discover and try new hobbies and ways to contribute to society through volunteering. You'll feel more useful and gain purpose. You might even learn new skills. 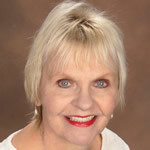 Carol Marak is an aging alone advocate, columnist, speaker and editor at Seniorcare.com. A former family caregiver, Carol earned a Fundamentals of Gerontology Certificate from the USC Davis School of Gerontology and writes about personal concerns while growing older.